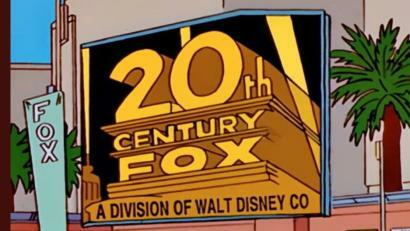 It’s official: Disney now owns 21st Century Fox. So, what can consumers expect from the merger? Well, there are some anticipated movies, like “Dark Phoenix” and “Avengers: Endgame” coming out this spring and others like “Gambit,” “The Silver Surfer,” “The Fantastic Four,” “Dr. Doom” and “Kitty Pryde,” which will either be released next year or in other formats before the merger became a reality. The merger became official on March 12 at midnight. Disney company proposed the merger with Fox in July 2018, detailing some of the conditions of the agreement. However, 21st Century Fox is no longer a public company. Disney will now have a 60 percent majority stake and potentially acquire another 10 percent. The merger was a historic transition in film and TV because two major and respected media companies decided that together they could make better content with their respective properties than apart. Movies like “Avatar” and TV shows such as “The Simpsons” are now owned by Disney. The company will own networks like FX and National Geographic as part of the amendment as well. Disney now owns 50 percent cash and 50 percent stock of the company, while what is left of Fox is that it controls broadcasts, sports channels, and local TV stations. There are some new players in the merger, like CEO Bob Iger and top-level corporate officers Peter Rice, John Landgraf, Dana Walden, and Gary Knell. Despite the new players, the Murdoch family will be the largest shareholders at the new company. This ownership indicates Disney’s awareness of the implications streaming has for the average viewer and consensus. The merger’s effect on the market share in film and TV is that Disney now owns 35 percent of the U.S. box office. That stake opens up questions as to what Disney will do with the other projects Fox has in the works and other projects that are already completed. Now that Disney has control of Fox, it has control of the Marvel Cinematic Universe. It’s safe to assume that Disney now rules the known universe. But for now, people should sit back and relax because Disney has things under lock and key.